Developing a passion for Greek Orthodox music wasn’t easy growing up in America’s heartland during the 1980s. I relied on my father—a priest with an exquisite voice—to transform our lonely outpost in central Illinois into a rich Byzantine empyrean. There was also our parish youth choir, which, through my mother’s direction, brought an ancient liturgy alive for me and my MTV generation. 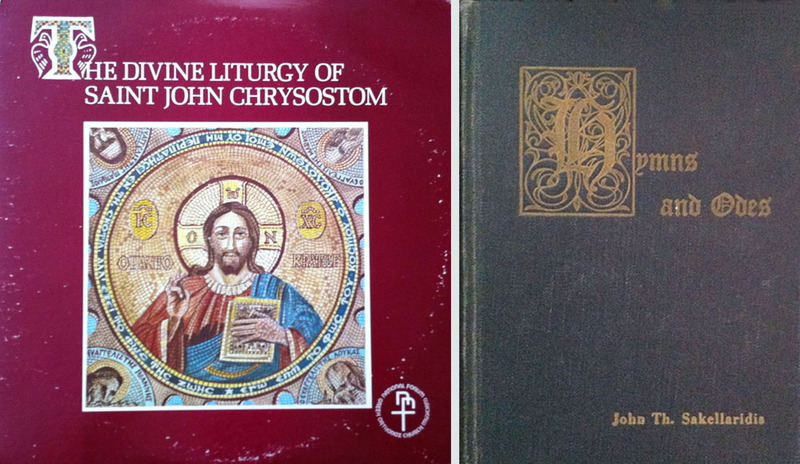 While a wealth of Greek Orthodox compositions existed in the United States at that time, my only opportunity to hear many of them was through a handful of treasured LPs. The one commercial recording known to me was a single communion hymn arranged by Frank Desby and recorded by the Roger Wagner Chorale in 1958. 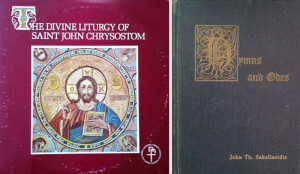 Four other LPs trickled into my life when my father returned home from national Church conferences with rare recordings of Greek Orthodox choirs from America’s urban centers. With these records, I first heard the musical settings of many of the composers featured on this CD, whose work ushered in a new chapter in the history of Greek Orthodox music unique to 20th century America. While harmony and counterpoint have featured in Catholic and Protestant music for centuries, the Greek Christian East (with some notable exceptions ) has maintained the practice of a single melodic line, or chant, adding only an ison (vocal drone), whose use was first documented in the early 16th century (2). Western European music styles made an uneasy appearance in Greece in the 19th century, at a time when post-Ottoman nation-building brought Western influences to bear on Greek cultural life. In a famous example, the Athenian musician John Sakellarides (c. 1853–1938)—highly critical of what he perceived as the “Ottomanized” state of Greek chanting (3)—converted eastern-style chants into western-style melodies, sometimes with the addition of simple harmony. While these and similar innovations drew support from certain circles, they were met at times with official Church condemnation and even provoked public riots in the cathedral of Athens in 1836 and 1869 (4,5). While this westernizing trend eventually lost steam in Greece, the work of Sakellarides and others gained momentum as well as hierarchical support in the early 20th century in the Greek immigrant communities of the United States, where choral music grew deep roots and remains the dominant style used in our liturgies today (with chant still utilized during matins and for many feast day hymns). More sophisticated arrangements of Sakellarides’ original transcriptions were composed throughout the last century. Notably, several Greek-American musicians created arrangements with the aim of preserving the musical ethos of the chant on which most Greek Orthodox choral music is based. Innovative monophonic/ison, harmonized and even some contrapuntal compositions formed a new tradition of Greek hymnody and to this day provide a valuable and cherished aural framework for our religious practice. This recording is a celebration of that tradition and a tribute to the musicians who have shaped the liturgical sound for generations of Greek Orthodox Americans. 1. Lingas, Alexander. Medieval Byzantine chant and the sound of Orthodoxy. Byzantine Orthodoxies: Papers from the Thirty-sixth Spring Symposium of Byzantine Studies, University of Durham, 23–25 March 2002. 2. Conomos, Dimitri. Personal communication. 3. Sakellarides, John. Preface, Hymns and Odes. 4. Lingas, Alexander. “Music.” Encyclopedia of Greece and the Hellenic Tradition. 5. Lingas, Alexander. “Sakellarides, John Theophrastos.” Encyclopedia of Greece and the Hellenic Tradition.